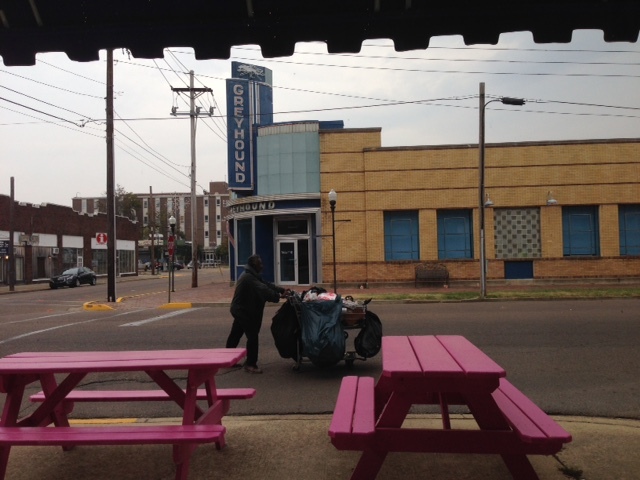 Many of our days were spent waiting for customers in the lonely, historic, blues precinct in downtown Clarksdale. It wasn’t easy. Many of our days were spent waiting for The Holy Moly Drug Store customers in the lonely, historic, blues precinct in downtown Clarksdale. We knew the job of creating a business in Clarksdale would be hard, but we were both surprised at how lonely it was. When we bought the building in 2012, neither one of us were prepared for the loneliness ahead. One of our regular customers never asked for anything and always appreciated what he was given. Grape soda is his favourite! While working, we looked on the bright side. We kept reminding ourselves that we were doing something good in bringing life back into the old masonic temple building and to the corner of Third Street and Issaquena Avenue. When the renovation work was finally over, we knew that we had built our own place to play whenever we wanted to; we just didn’t realise how little time there would be for entertaining! The actual work of running the fast-food restaurant business kept our instruments and singing voices quiet, most of the time. 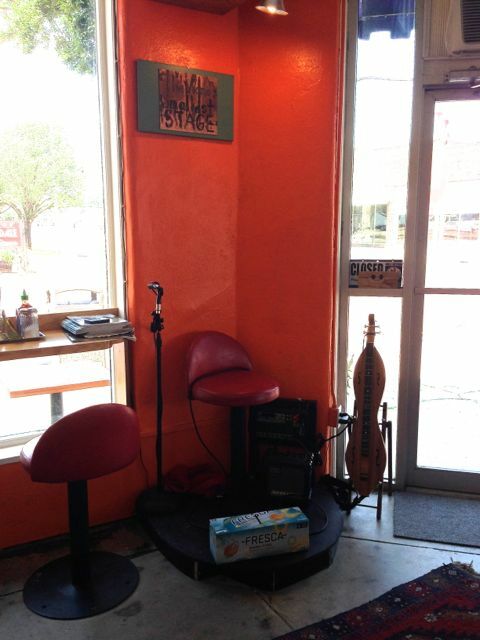 I enjoyed playing my Memphis-made Magowan mountain dulcimer on The World’s Smallest Stage at The Holy Moly Drug Store! 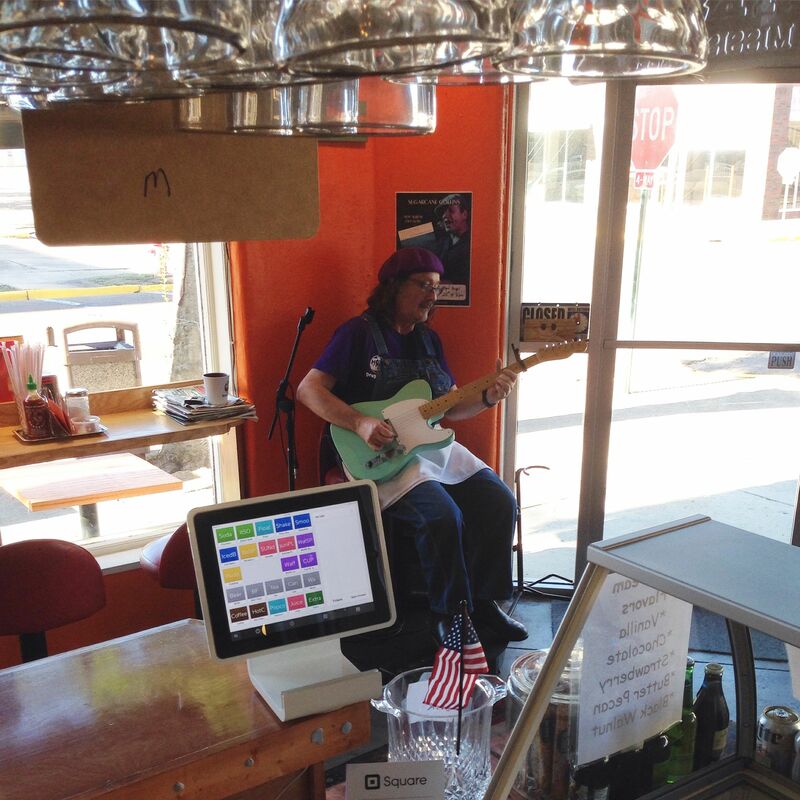 At The Holy Moly Drug Store, Adrian occasionally played from behind the soda fountain and entertained a couple of enthusiastic customers and, rarely, he strummed and sang for a full restaurant (with all 22 seats filled with diners). (Both of us were needed behind the counter to keep the business running and our customers served.) We cherish our memories of moments when we could actually play music, chat with customers/visitors AND serve them food & beverages. Unfortunately, most of the time Adrian played on stage, it was a bit depressing for both of us, as we thrive on fun and love to entertain people. Unfortunately, most of the time Adrian played on The World’s Smallest Stage, it was depressing for both of us, as the shop was often empty. Both of us thrive on fun, and we love to entertain other people. 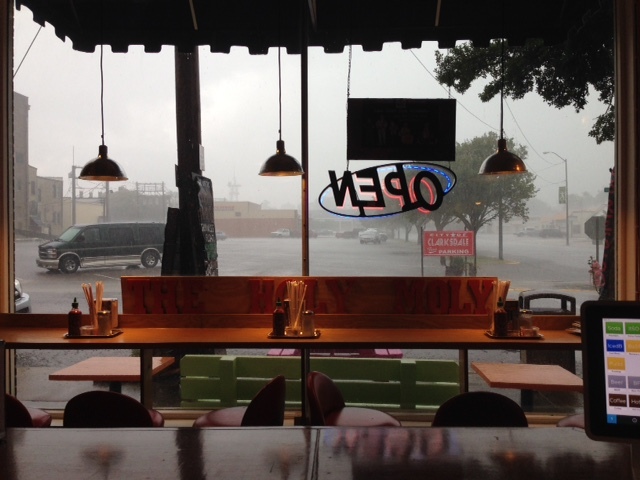 In September 2015, my husband and I sold our restaurant business and leased the cafe space to new tenants in The Holy Moly. 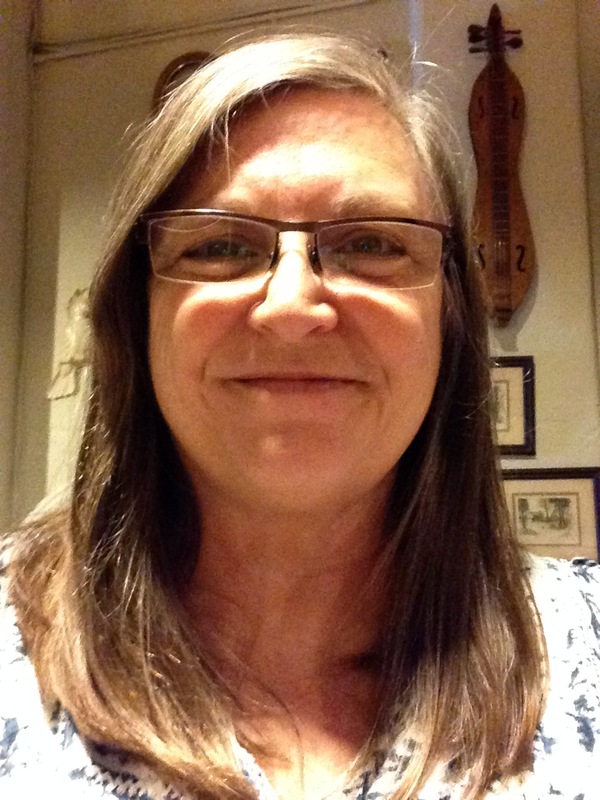 We haven’t sugar-coated (no pun intended, this time), our description of The Holy Moly Drug Store business and how we were challenged with creating a successful business. Before we sold it, my husband and I never hid the fact that we wished/prayed for someone to come along and buy the business (and make it better) and allow us to focus on something else in our building. In October, The Holy Moly Drug Store was closed by the new Australian owner/tenants. They plan to update the equipment and change the menu, once they arrive in the U.S.A. So, this is why I currently have free time to reflect, blog, and contemplate the future of The Holy Moly project. It’s time to focus on music! As I reflect, I remember the music I made in Memphis. I miss it. I miss the activities. I miss the meaningfulness. I miss the people, the fun, and, especially, the music. People in Memphis seem to have a special interest and enthusiasm for music! I enjoyed music in so many ways, there in Memphis. I think I had more enthusiasm for making music when I lived in Tennessee. I don’t know where or when, but I might have lost my passion for pushing for more music! I hope that by writing this out, I am challenging myself to be enthusiastic again. 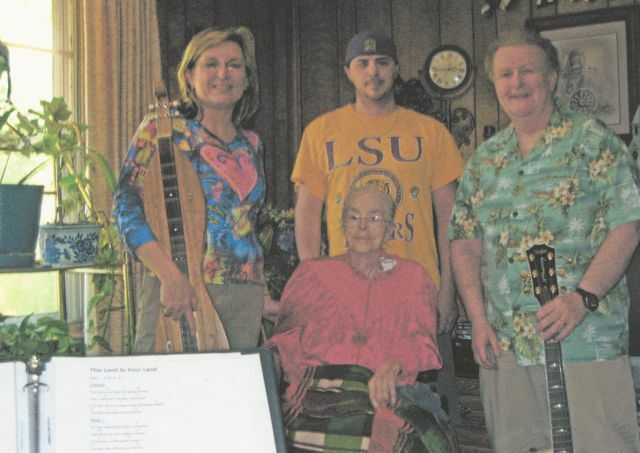 I performed with my friend, Pat Patchell, at a hospice house concert in Memphis in 2007. 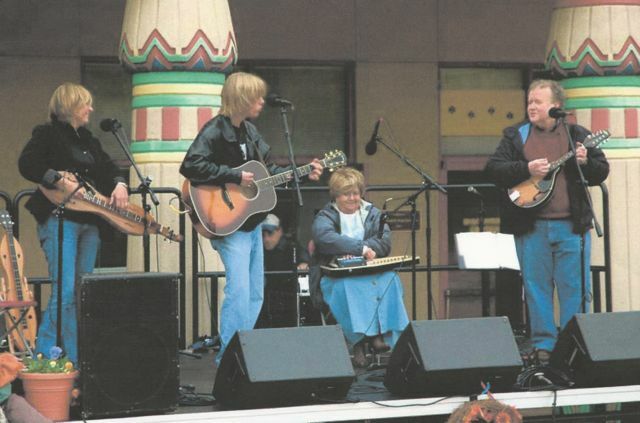 One of my most challenging and exciting musical moments in Tennessee was performing at the Memphis Zoo in November 2006. It was a rainy, cold, early morning event, which was not well attended because of the weather and, possibly, a football game. I think there might have been 6 or 8 people at any one time in the Zoo’s audience that day, including my mother and brother and the girlfriend of a bandmate. I’m glad my brother was in the audience to take this photo of “Goin’ Back” performing at the Memphis Zoo in November, 2006. Of course, Mississippi (the birthplace of American music) folks have a passion for music, too. People from all over the world come to Clarksdale, because it is the birthplace of the blues. My husband and I have enjoyed visits from our friends who have come to Clarksdale during their Americana Music Triangle adventures. Blues music brought them to Clarksdale for a short visit, but facing their crossroads will bring them back for more music, I believe. I have to believe people want to come to or return to Clarksdale for more music — all kinds of music! Now that I am not working at The Holy Moly Drug Store business, I’ll think on that. After all, it was music that brought me here. Within the next few weeks, I’ll be returning to Australia where I will stay for a few months. I’ll be keeping Clarksdale in my head and heart, hoping to figure out how to bring more music to this old masonic temple building that is now known as The Holy Moly. Holy moly! All Roads Lead to Clarksdale! 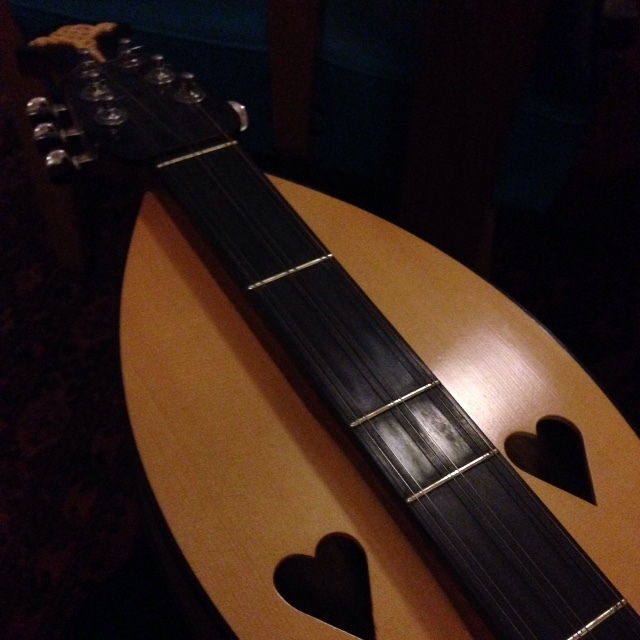 I Played at the Port Fairy Market! It’s a Happy New Year for Table Hill! 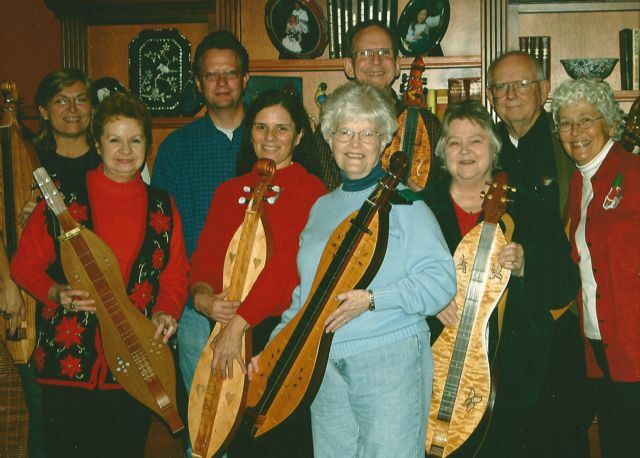 Memphis Dulcimer – Strumming On!